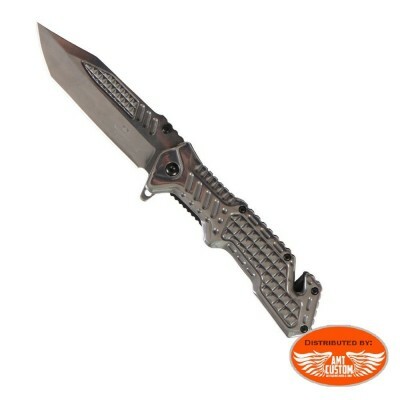 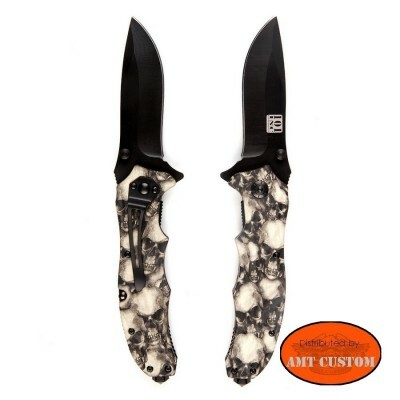 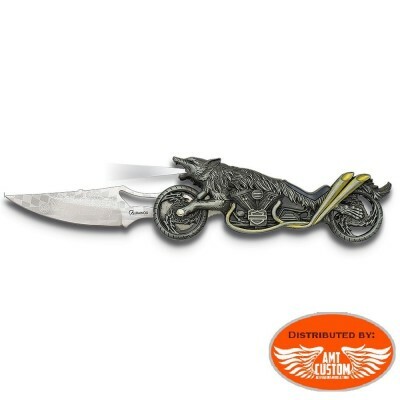 Biker country light flick knife. 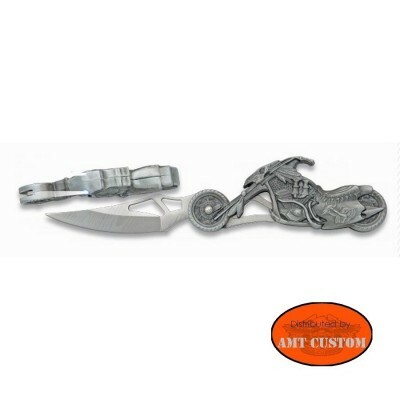 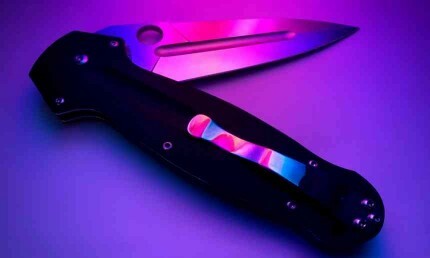 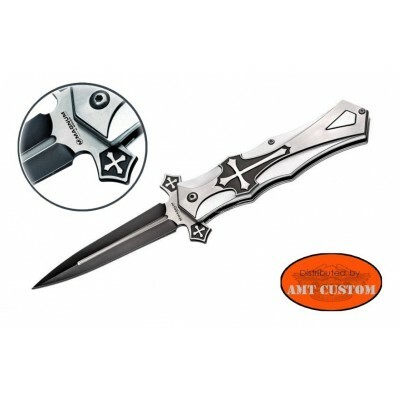 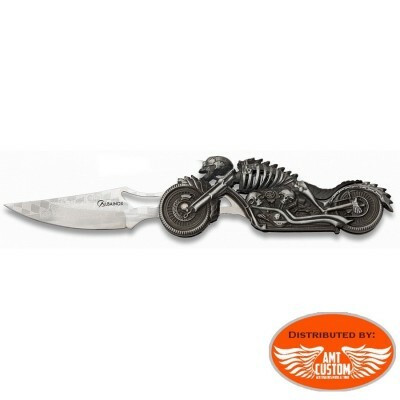 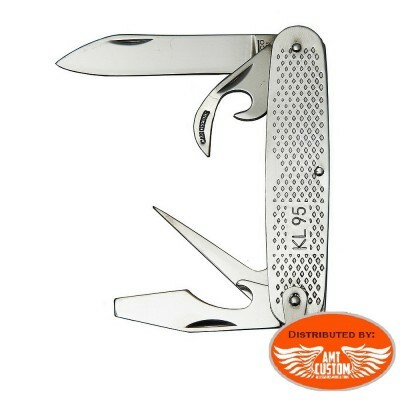 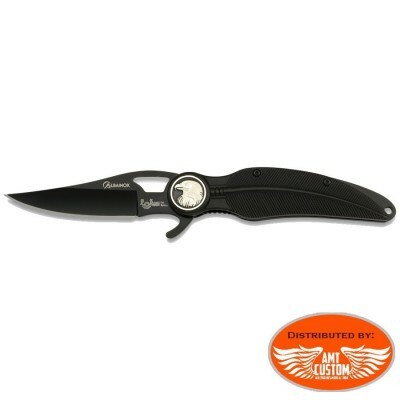 Biker's Pocket flick Knife with dual lamp on the handle. 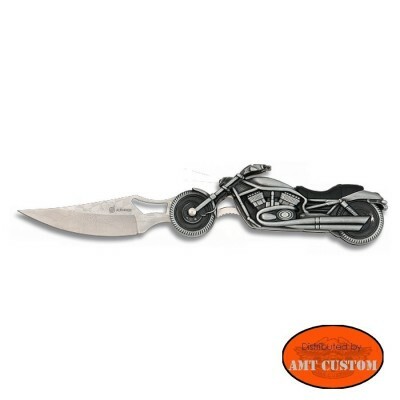 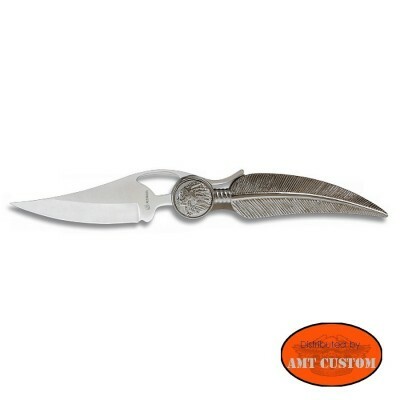 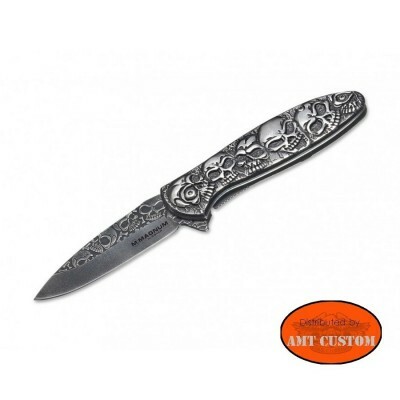 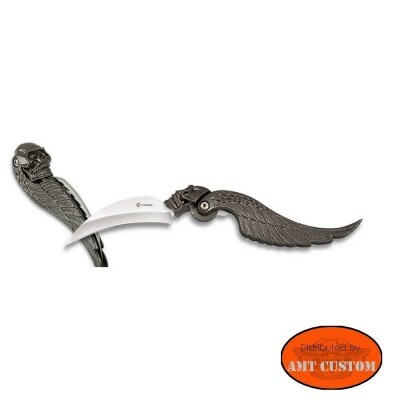 Indian biker knife..... pocket flick - Knife with the handle shaped feather and indian head.